Health care systems around the world are now starting to see several disruptive transformations. One of the most important factors behind this is the rapid development in the emerging eHealth services. But many citizens, doctors and patients are still asking “But what is eHealth good for, really?”. The reason for this is that is so hard for us to imagine new ways of doing things, new types of services that enable new types of interactions between patients and health care. 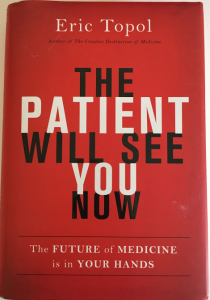 The future of health care is already here, but it is very unevenly spread in different countries, regions, hospitals, clinics and various patient groups. But it is obvious that eHealth has many possibilities for both patients and healthcare professionals, mainly driven by two disrupting forces; the smartphone and the possibility of continuous health monitoring. Patient empowerment is about enabling patients to engage themselves in their own health care. The main tool for this is the ubiquitous smartphone, our central and very personal communication device. It’s about self-care through self-tracking. Our smartphones are always with us and contain advanced sensors for fitness and health that can track fitness data such as physical activity and other lifestyle factors as well as medical data like heart rate, gait and much more. There are also hundreds of thousands of health-related apps to choose from and a quickly growing array of certified medical body sensors that connect wirelessly to the body and upload personal health data for automatic or manual analysis. 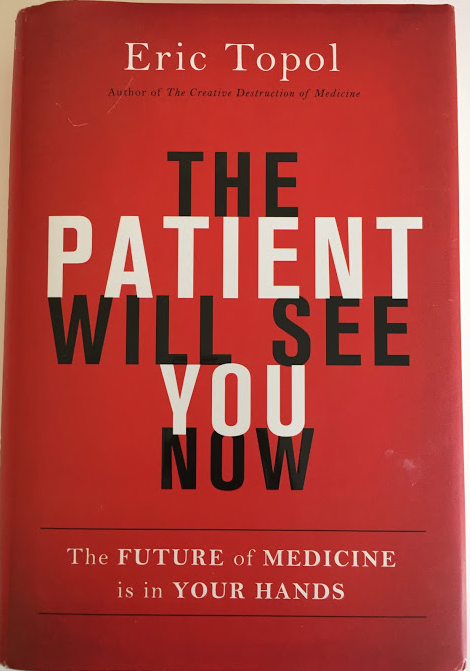 This is a highly recommended book by Dr Eric Topol, notice his spot-on subtitle “The Future of Medicine is in your hands”. of drugs based on how they saw at one single office visit. A major problem with our current healthcare system is that it is based on spot-checks by doctors only when we experience acute health problems, or during yearly routine check-ups. At all other times, the doctor is unaware of patient’s health and the patient has no access to personal health data for self-care. The smartphone and connected medical sensors and devices enable us to track health data continuously. Daily health and fitness tracking. Personal learning tool for insights about my wellbeing and what lifestyle choices that work best for me. Personal learning tool for insights about my disease activity and medication effects related to my lifestyle. Prevention of exacerbations by alerting me when critical medical data trends point towards upcoming complications. With continuous health monitoring, the health care professionals can have a much more coaching role and be instantly available online when personal contact is needed. It also thereby saves a lot of staff resources and enables many patients to stay in their own homes. So let’s embrace these possibilities! There are several issues and risks involved that need to be considered and changing work methods is always met with resistance. But the current system is not sustainable and if we involve all the stakeholders in this transformation, the results will be worth it! See also my post: What is eHealth? Previous Previous post: What is eHealth? Next Next post: Vill du ha digitalt stöd före-under-efter ditt nästa vårdbesök?